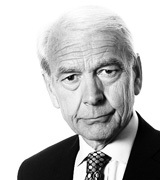 John Humphrys - Carillion Collapses: a ‘Watershed’ for Outsourcing? January 16, 2018, 3:58 p.m. The collapse on Monday of the giant construction and services company, Carillion, was dramatic. The consequences could be even more so. Thousands of workers face a threat to their jobs and their pensions. The government faces an immediate problem of ensuring the public services Carillion was contracted to supply still get delivered. But the biggest consequence may be more fundamental. The collapse raises the question of whether governments should continue to outsource the provision of public services to private companies. The Labour Party under Jeremy Corbyn argues that they should not. He says this is a ‘watershed moment’ for outsourcing? Is it time to rethink? As recently as 2015 two-thirds of investment bank analysts were advising their clients to buy shares in Carillion, a company put together from a number of former household names such as Tarmac, Wimpey and McAlpine to build things and run things – many of them for government departments and local authorities. Its market capitalisation the following year was £2bn. But some had seen the writing on the wall and started betting against it. Two years earlier some hedge funds, digging around in the small print of the company’s accounts, had noted unusual delays in its payments to subcontractors, suggesting it had serious financial problems. Then last summer Carillion issued two profit warnings. Its debts mounted until last weekend it became clear that no financial bailout was possible and it went bust. Several factors seem to have contributed to its downfall. In a highly competitive environment for construction work, especially in the public sector, it bid low in order to get contracts and then when inevitable problems and delays in doing the work emerged it started to lose money on them. It tried to offset these problems by seeking contracts abroad only to face increasing delays in being paid by its clients. In 2009 around 14% of its expected revenues remained unpaid. By 2016 this had risen to 30%. It borrowed heavily to buy more companies but they failed to deliver the prospects Carillion desperately needed. And finally, like many other companies, it faced mounting deficits in its pension funds. As these problems grew and grew it borrowed ever more cash to buy its way out of trouble. But ultimately its failure to turn the underlying business around put paid to that strategy. When it folded this week it had debts of around £900m and a pension shortfall of £587m. The company employed about 43,000 people worldwide, 19,000 of them in Britain. Here 62% of them work on private sector contracts. The government has insisted (and the opposition agrees) that there can be no taxpayer bailout for a private company so those involved in work outside the public sector face an immediate threat to their jobs and their pensions. Other smaller businesses sub-contracted by Carillion could face bankruptcy themselves. Carillion employees worked on public sector contracts, such as providing services that include hospital cleaning, supplying school meals or on major public sector construction contracts including the building of hospitals and rail projects such as HS2. The government has guaranteed their salaries not least because those services must continue to be provided. So far there is no evidence of any appreciable disruption of day-to-day services, though Oxfordshire County Council put their fire services on stand-by in case they were needed to supply school dinners. But the future pensions of these workers will take a hit of around 10% as the Carillion pension scheme will be transferred to the Pension Protection Fund. What of the taxpayer? The government insists that because there is no bail out the taxpayer will not be required to stump up for the company’s failure and that the money it will spend on keeping the jobs going would have been a charge to it anyway. But the task of sorting out the mess and getting new contracts arranged is bound to cost the government money and it may also face compensation claims it will feel the need to meet. The main criticism of the government has been that it failed to see what was coming or, if it did, it failed to act responsibly. Specifically, it signed new contracts with the company very soon after each of last summer’s profit warnings. The charge is that it risked the use of taxpayers’ money to prop up a company on the skids and that it did so because it wanted to avert the political embarrassment of having a company so heavily involved in the policy of outsourcing go to the wall. The government denies this. It argues that competition law required it to consider bids for its contracts from all-comers and that it would have been criticised had it settled on a more costly bid from another company. But it has not helped the government’s case that between August and November last year there was a vacancy in the post of the senior civil servant supposed to oversee such contracts. The fundamental question, though, is whether the whole policy of outsourcing public services, including both day-to-day maintenance roles and major infrastructure projects, is in the best interests of the public. The policy first got going under Margaret Thatcher in the 1980s but was greatly expanded under all subsequent governments, none more enthusiastically than the Labour governments of Tony Blair and Gordon Brown. But it has always faced critics and not only on the left. A simple summary of the criticism is that outsourcing companies provide poor services while at the same time allowing their shareholders and management to rip the taxpayer off for their own profit. The Carillion case is cited as a classic example. The company continued to pay dividends to its shareholders for sixteen years on the trot even as its pension deficit grew. And as for the top management the critics say the facts speak for themselves. In 2016, even as the company was heading for the rocks, the company’s rules were tweaked to make it more difficult to claw back bonuses from failed management. What’s more, after the first profit warning in July 2017, the chief executive, Richard Howson, resigned but on terms that allow him to go on receiving an annual package worth £660,000 until October of this year. To many the whole policy of outsourcing stinks. Labour wants to bring such private sector contracts to provide public services ‘back into house’, meaning that the government itself will organise and supply the services. That is what Mr Corbyn means by a ‘watershed moment’. But defenders of outsourcing say this would be throwing out the baby with the bathwater. They say that anyone with any memory will know how inefficient and costly those services were when the government did provide them, as was mostly the case in the 1970s. That indeed was why the whole outsourcing idea came about. And they say nationalising the services simply hands power to trade unions which is why (they argue) Labour’s left advocates it. Better to reform the system of outsourcing, especially with tighter regulation of what the private sector firms can pay their shareholders and their management, than do away with it altogether. These debates are bound to be at the centre of the political battle between now and the next election. In the meantime the immediate mess of the Carillion collapse will have to be cleared up. What do you make of it all? Do you think the government has mishandled its relationship with Carillion? And do you think the policy of outsourcing needs to be reformed or abandoned altogether?